Painting walls is actually very simple, but takes a lot of work and care to make it look right. Here are five steps to follow to get your walls looking fresh and perfect. 1. Research and Prep- Take a look at the kind of wall you are painting. Different walls require different brushes. Highly textured walls will need a thicker density roller brush. The best course of action is to get an employee to walk you through their selection and help you pick out the best materials for your job. When picking a paint color, take a few samples home to try on your wall. The actual color is going to be much different than the swatch! Also take a few days to examine the colors in every type of light- morning, afternoon, artificial- before making your final choice. 2. Plastic covers- No matter how careful you are when painting, paint gets everywhere. And the worst place for it to get is all over carpet or hardwood floors. 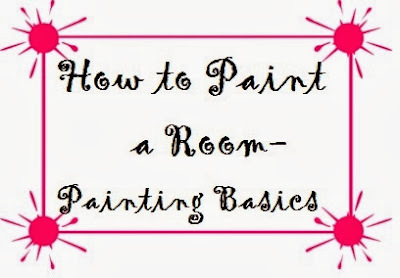 Paint splatters look unattractive and messy, and the floors will never look clean. So invest in some disposable plastic sheets to lay on floors, furniture that isn't being moved from the room, and anything else you don't want painted. When the paint drips, it'll fall on the sheets instead of permanent surfaces. 3. Tape- Continue prep work with taping off areas to get a clean line of paint. These usually include on baseboards, around door frames, and the crack between the wall and the ceiling. It's very important to use the right kind of tape. Not all tapes are equal! Without a good tape, the paint will seep underneath, ruining that clean line you need. Another problem is that some tapes won't peel up easily, either forcing you to scrape it up later, or pulling paint up with it. FrogTape is a widely known favorite that leaves a crisp line while coming up easily after paint has dried. 4. Prime- If there is an existing color on the walls, they may need to be primed, especially if they are dark. Some paints are a color with primer in one, but these paints usually require many coats, and can turn out to be more expensive and the same amount of work. You can try testing out a patch on your wall to see how easily your new color covers the old one, or talk to an expert in your local paint department about your best option for your colors. For both primer and color, follow steps 5-8. 5. Cut- Now you can finally crack open that paint can! The first step to getting full and even coverage on the walls is to cut around edges and corners. Mostly, in places where a roller can't reach. This includes any places with tape- baseboards, door frames, and along ceiling lines or lines between walls (if not painting all walls). Use short strokes to carefully paint around these lines. And always use a dry brush! 6. Roll- Next comes the fun part. This goes fast and gives a lot of gratification quickly. Load a dry roller sponge with plenty of paint- not dripping, but a fully soaked roller. Start with diagonal lines back and forth in one direction, and then quickly roll over those with lines in the opposite direction to get the best coverage (see diagram). 7. Multiple coats- Once the paint has dried completely, it's time to put on another coat. A large majority of colors will need at least two coats. Some will need more. Repeat steps 5 and 6 for best wall coverage. 8. Examine the room- Before cleaning up for good and peeling the painters tape off, examine the room during all times of the day. Sometimes a room can look great in morning light, but as soon as afternoon sun pours in, it'll look splotchy and uneven. Have your brush and roller ready throughout the day to paint trouble spots and patch the uneven areas. Microbial growth causes structural damage and poses serious risks to occupants. Symptoms such as headaches and serious respiratory issues could occur.